Paris was absolutely amazing! 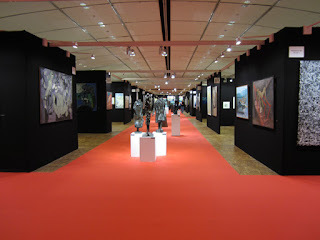 The exhibit was huge and chic and very prestigious. I met an enormous amount of people and got to practice my French big time. Getting there with my big box was quite an experience, especially since two of my wheels had broken off during the flight to Paris so moving the box around and getting it through the little gates to the train station was quite challenging. The lack of elevators also made for an interesting journey, especially for the people behind me on the escalator :) After arriving at my hotel I went out to explore Paris and collect some photo material for a future piece. 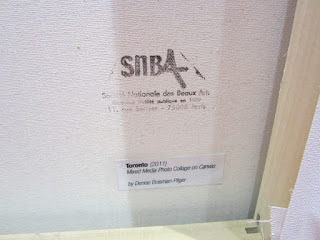 On Tuesday I had to drop my piece off at the Carrousel du Louvre. After all the difficulty I had had with the lack of elevators and the tiny gates to the Metro I had decided to walk to the Louvre. I had replaced the broken wheels so my box was all mobile again, albeit a bit noisy. We got a lot of strange looks, my box and I, walking through downtown Paris. But we made it to the Carrousel du Louvre and got a beautiful spot for the exhibit. Mrs Johanne Bédard, Director of the Canadian Cultural Centre. On Wednesday I had another day of photographing Paris before the Big day on Thursday. Thursday during the day the exhibit was already open and it offered a nice opportunity to get the feel for the event before it would be flooded by visitors for the official opening in the evening. 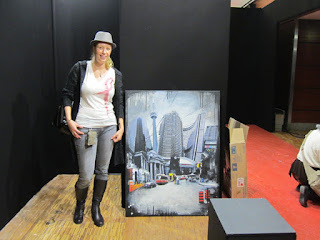 Opening night was huge! At some point I heard it mentioned that there were about 4000 people. 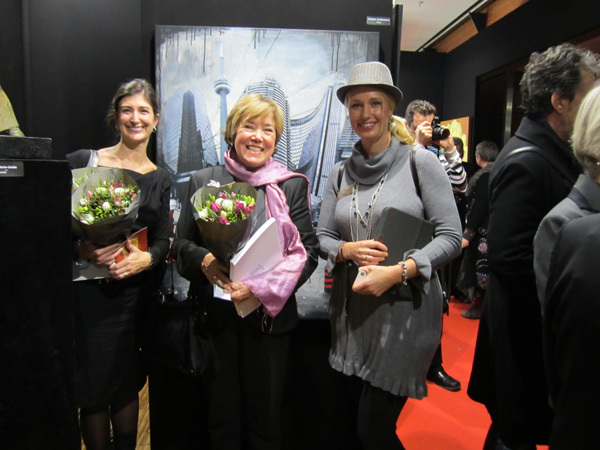 The Canadian delegation got a lot of attention and was even visited by Mrs. Patricia Lortie, the wife of the Canadian Ambassador who was very generous with her time and spoke to all the artists in the delegation. The next couple of days were filled with meeting people and talking about my art and lovely lunches and dinners with my fellow delegation members. At one point we got to meet Mr. Jean-Paul de Bernis, National President of the French Academy Merit and Devotion, who was admiring all the pieces and generously took the time to take photographs with the artists. 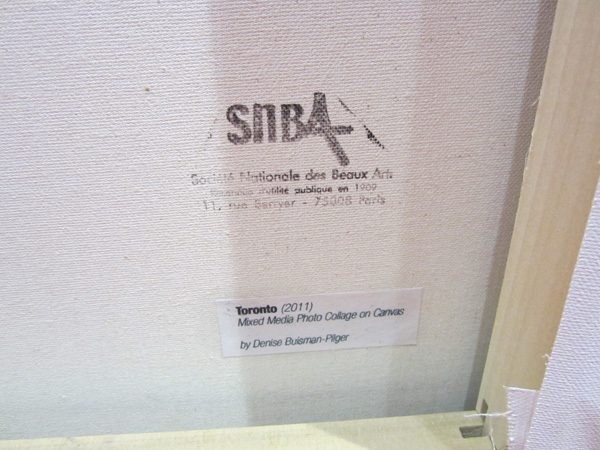 At the end of the exhibit every artist received a beautiful certificate and an official stamp from the SNBA (Société Nationale des Beaux Arts) on the back of their painting and their certificate of authenticity. My week in Paris has flown by and has been filled with great experiences and amazing company, we had such an amazing and supportive group, I feel very fortunate to have been able to share this experience with them. I hope we will be able to do it again next year. 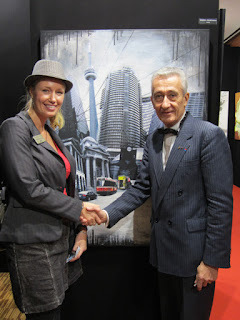 You can find more photographs and video of my Paris adventure here.